Hey! Here’s the other Valentine’s special that we’re running starting Friday through Monday. It’s a chocolate mousse cake with vanilla custard and a thin layer of crunchy chocolate cake. $4.50 + tax. 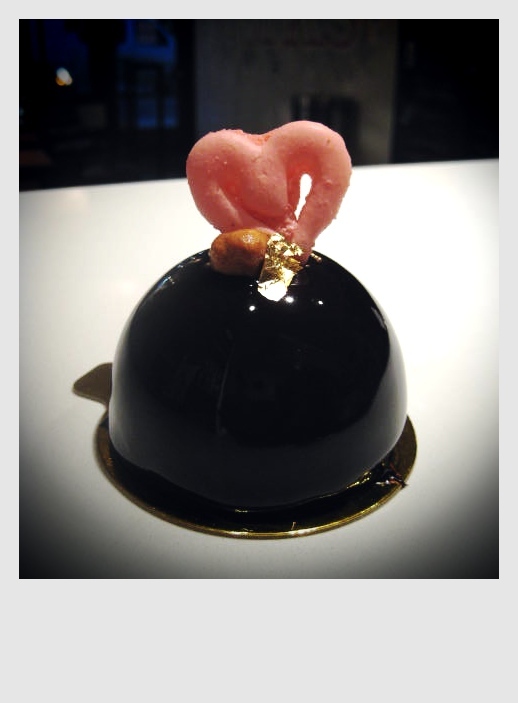 The other special is a heart-shaped raspberry valentine macaroon. The store will be open on Valentine’s from 6pm-11pm.